I just want to say a big thank you, I’ve been to a few of your workshops and I can honestly say I wouldn’t be where I am today without having the experience I did with turnip starfish, without Lexi, Nick and the rest of the team I would never of found my love for art, so thank you very much. 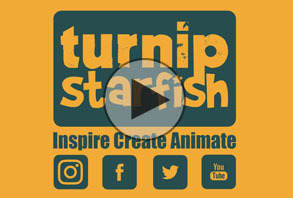 The team at Turnip Starfish have been having fun directing and producing animation for TV since 1999. See some of latest animation here! Maybe we can help you? We also run animation workshops, manga and cartoon drawing workshops, digital painting workshops and more in South Wales, Cardiff, Swansea, Newport, Bristol and beyond. Give us a buzz and maybe we can come to you! Anime Spring Season 2019 - What I'll be watching! April means spring is here, fresh flowers, new life and NEW ANIME! This doesn't mean that I am giving up on the other shows that I'm watching. The only series that has ended recently is The Promised Neverland. This means that I am still watching Black Clover, Fairy Tail - The Final Series, JoJo's Bizarre Adventures: Golden Wind and The Rise of the Shield Hero. New Venue for Cardiff Life Drawing ! Have you seen our amazing new venue for Cardiff Life Drawing? In mainstream film and TV there are a huge range of different characters however these characters usually function in generic roles such as heroic, evil, confident etc. This week nick is painting an Ice Wizard. He will use simple shapes and then form and colour to build the design, whilst trying to keep a relaxed and painterly feel to the picture. Today Nick is cartooning a photograph of a 'Cool Girl'. Join him as he uses simply body shapes to construct his image, whilst trying to keep the rhythm in the drawing. Getting back into the drawing groove, Nick is today drawing an angry looking pirate. Grab some paper and draw along. The Cardiff Life Drawing class has been going from strength to strength. Thank you to everyone that has been supporting the class. We are having trouble booking a space again for this class from April onwards. We are working as quickly as we can to solve this issue and will send you all an email as soon as we have this resolved. Our current plan is to hold the class on the 6th April and then on May 4th. Hope to have positive news shortly. Anime is a type of animated programme or film often aimed at adults as well as children. Anime is what they call animation in Japan, it is often produced in Japan or at least associated with it. Many anime are based on a manga series or Japanese stories which include historical references and folklore. Today Nick is cartooning a photograph of a cool punk boy. Join him as he constructs and then colours his illustration. Today nick is drawing a cartoon Viking! Join him and draw along as he uses simple shapes to build the character. 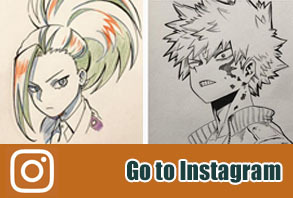 Nick wants to draw more in 2019. This week he is painting another portrait, this time in colour. If anything he learns how useful the lasso tool is as he corrects the drawing... several times. It’s the age-old question that divides many anime fans, should you watch anime in subbed or dubbed? Ever wanted to draw a ballerina? We are so excited! because on in our February Life Drawing class we will be drawing a ballerina! We have now released the January dates for our workshops. These can make an absolutely unique Christmas gift for someone! Buying for a Christmas present? Let us know by e-mail or via your instructions when you pay and we can send you an invitation card so they have something nice to open on Christmas day. Our last post for this would be the 15th December 2018, we would not send out any cards after this date. Looking for something to do in half term? You can now book workshops for October half term! New year and about time we had a NEW SHOWREEL! We know it has been a long time, but finally we created a new showreel. We hope you enjoy. Pay by VISA, MasterCard or PayPal ! Our shop will now except payments directly by VISA, MasterCard as well as through PayPal accounts. Just select the 'Pay with a debit or credit card' selection in the PayPal shop.